Home > The Private Sector > What is Private Health Insurance? Private health insurance means the person has got medical/healthcare cover provided by an insurance company. The policy is bought annually and often incurs a monthly premium. The amount paid varies between companies, the individual, their medical history and the type of cover offered. The policy may include just the individual named or may extend to the immediate family as well. Anyone can buy health insurance; it is not something that is only bought by the rich and famous. In other countries, the majority of people must buy their own health insurance in order to receive medical treatment and free healthcare is only provided for those who cannot afford to buy it themselves. In the UK it is becoming more popular for businesses to include private health cover for their employees as part of the payment package, especially within the higher end businesses, the benefits of doing this lie as much with the company as the protection provided for the individual. It is also becoming more evident that unions are trying to get more businesses to do this and may even offer it as a bonus for members. Private health insurance requires the person to buy the policy, usually at a monthly fee. This fee will increase as more people are added to the policy and can vary significantly between insurance companies. 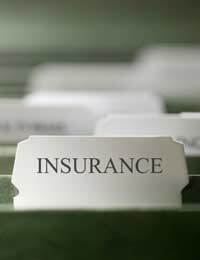 The duration of the policy before a review is needed will also vary between insurance providers and this again may alter the monthly premium. There are several compares offering private heath insurance some of these specialise in purely medical cover whereas others may provide other types of insurance also.Finding a company to provide is usually very easy as the companies advertise their services on the internet, in magazines, in newspapers and using other media. They can be contacted online, by post or by telephone and often it only takes a few moments before your policy can be written. There is usually some amount of form filling to be done and you will normally be required to disclose any existing medications and complaints, past medical history and any forthcoming treatments. These may be excluded from your policy. Not all treatments will be included on a private health insurance policy and cosmetic procedures are often excluded and must be purchased in addition to the policy. This can vary between providers though showing the need for research into each insurance provider before purchasing a policy.Some companies will offer the chance of including your family on the policy, whilst others cater for specific groups of people for example those of a certain age. It is not always necessary to have purchased a private policy in order to receive private healthcare as some treatments can be purchased on an as and when basis and will require the person to contact the healthcare provider directly and obtain the treatment that way. These can be expensive, often several thousands pounds which can be paid in one lump sum, or as many companies now offer, a monthly payment scheme, some with an interest period. Private medical insurance is a way of buying private medical cover in return for paying a premium. The terms and conditions differ from company to company and more often than not the plan is tailored to the individual. There are many ways of buying private medical insurance and research of each provider should be carried out to ensure that the purchaser is getting the best deal for their money.